Last night I was watching America’s Most Wanted on TV. 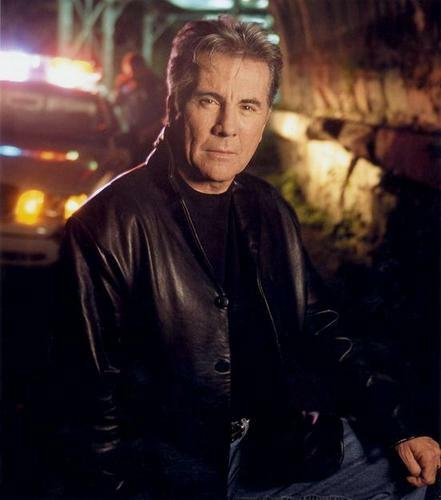 I have always loved John Walsh, the host of the show because through his television program he has helped take down over 1,050 dangerous fugitives and bring home more than 50 missing children in the past 22 years. In 1981 John and his wife Eve’s 6 year old son Adam was abducted and murdered. And since that day, John has dedicated his life to fighting on behalf of both children and adult victims of violent crimes. On yesterday’s show, they were talking about a particular young girl named Michaela Joy Garecht who was abducted back in 1988. They told the story about her mother’s struggle through the pain of losing her only child. But through the horrible situation, she also turned it into something good by becoming a speaker and advocate for child safety. 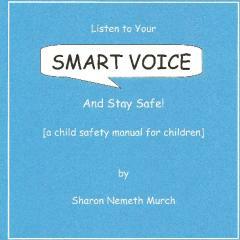 Her name is Sharon Nemeth Murch and she wrote a book called “Listen to Your Smart Voice” which is available on Amazon for $9.95. This 40 page book is a child safety program that empowers children by teaching them to use the very best weapon of all — their own intelligence. In this book, children learn what a Stranger is, and how to react to one. In In life, a child will encounter many situations which will help train their Smart Voice, and gain real-world skills. But the truth is, every new child that goes missing shows us yet another new way predators have found to entrap our children. We need to do what we can to protect them! And in order to do that, it is our responsibility as parents to protect them by teaching them to be aware, and to be smart in all circumstances. Being a mother of almost 4 little ones, this subject touches my heart tremendously. I decided to look into it a bit more and I came up with a few sites that you might want to check out. www.kindervision.org – “Created in 1991 as a result of the kidnapping and murder of seven year old Leticia Hernandez in Southern California, KinderVision® is a national child safety education program dedicated to the protection of children from abduction and sexual exploitation. 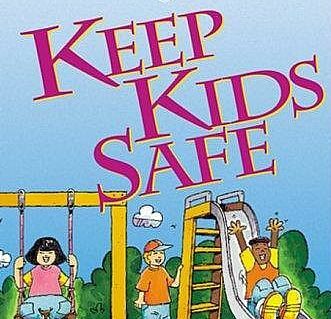 Developed with the assistance of law enforcement and research including an interview with a convicted child killer, the KinderVision educational materials are designed to be an ongoing resource for families, for schools, for law enforcement, and for all youth-serving organizations to teach children and youth how to be safe from sexual predators – because The Greatest Save is the one we never have to make. The program is available in English and Spanish and is funded solely through corporate sponsorships and contributions with the materials provided FREE to families whenever possible on site, on air, and on line.” Be sure to check out their Free Downoadable Lesson Kits for Preschool & Kindergarten Age Children. It is important to teaching our children early about how to keep themselves safe. www.radkids.org – radKIDS® is the national leader in children’s safety, with headquarters based in South Dennis, Massachussetts. radKIDS® is brought to children and parents by the training and development of nationally certified instructors drawn from their own communities. By empowering a community with certified local instructors, the radKIDS® Personal Empowerment Safety Education package is not just a program but a true gift to the community. Community-based organizations receive training and support from national headquarters to provide the radKIDS® program as a part of their own youth work. These groups, which have safety goals compatible with those of radKIDS®, include police departments, educational organizations, civic groups, fraternal organizations, citizens’ groups and concerned parents. www.mypreciouskid.com – My Precious Kid Child Safety Products Manufacturer of Oregon is founded on Christian values of truth, honesty, integrity, human worth, and the value of all children. My Precious Kid is dedicated to family success and family safety. My Precious Kid Child Safety Products and Baby Gear protect your children and give you peace of mind. They have products for your baby, children, adults, pets, the elderly, and children with special needs. I have actually done a review on this awesome company several months ago. Check it out here. I just cannot imagine the horrific pain of losing a child to kidnapping, abduction, or murder. My eyes have been truly opened to the need for us as parents to teach our children the importance of staying safe early on. I am so grateful for the many parents who have been through this type of tragedy who have dedicated themselves to helping other parents. So, if you are a blogger, I would ask you to join me and write a post so we can all join forces and get the word out about the dangers of child abduction. And take the time to check out the many resources that are available to help us in this child safety education process. I love Mr Walsh as well, and enjoy all that he does to try to help save children! Sad thing is even as caution as parents can be, without placing our child in a bubble all we can do is keep a good, cautious eye out and be certain to teach our children about stranger danger. My DD is turning 7 and she still will answer what her teachers name is and EVERYTHING to complete strangers and so I am trying to explain to her we need to be polite to everyone, however, information such as her last name, teachers name, home address or phone number, etc are all PERSONAL information and we don’t just give them out no matter what! .-= Brandy´s last blog ..One More Month =-. Thanks for the tips and information. Sometimes I get a little worried because my little man is so friendly and likes to go to just about everyone (females especially). I pray that I can teach him not to go to strangers and may the Lord protect him when I can’t. .-= Felicia – I Complete Me´s last blog ..Facebook Etiquette and Your Relationships =-. Great info!! My little ladies are also WAY too friendly and have never met a stranger (just like their mama), so we have spent a lot of time teaching them about how to handle a situation and how to avoid one all together! Thank you for doing your part to share this information! .-= Amanda @ High Impact Mom´s last blog ..Review: Elmo’s Animal Adventures =-. The action taken to local and national disasters is great but it’s a real shame that so many citizens take advantage of the sad situations.